A roof can be very expensive, at times costing more than a new vehicle. Although it’s easy to forget to properly maintain your rooftop, a damaged roof is impossible to ignore. As a recognized leader in the Dallas-Fort Worth roofing industry, we know a thing or two about protecting roofs. Here are just a few easy steps you can take to protect your roof and keep it in the best condition possible. After all, your roof is protecting you – and all your belongings inside. It’s important to regularly inspect your gutters and keep them clear of debris. Failing to do so will cause moisture from rain and humidity to infiltrate your roof, which will eventually cause rotting within the structure of the roof itself. We recommend that you schedule a gutter cleaning biannually in the fall and spring to help properly protect your roof. By regularly walking the perimeter of your home and inspecting its roof, you’ll be more likely to catch damage or maintenance issues before they end up costing you a fortune. With the often severe weather we experience in North Texas, it’s especially important to inspect your roof after every storm. It’s also important to inspect your roof to identify signs of rodent and pest damage. Shredding or rotting of the roofing materials can be a dead giveaway. If you live in a wooded area or have trees hanging near your roof, leaves can easily accumulate on top. Leaves trap moisture leading to decomposition and weed growth. There are a few ways to safely remove leaves from your roof, but always avoid using a pressure washer. This may seem obvious, but tree maintenance is paramount to protecting your roof. Overgrown tree branches can cause damage to your shingles and can lead to the possibility of broken limbs falling onto your roof. Overgrown branches are also an invitation to rodents who may be looking for access into your home via the roof. We advise that you keep a 10-foot clearing between your branches and your roof whenever possible. This tip isn’t utilized often enough in North Texas, but it’s important to be aware of. Should a snow storm occur, use a roof rake to keep snow off the rooftop. One way to facilitate this effort is by keeping your attic properly insulated and free of air leaks. Overall, we hope these tips are helpful and bring awareness to the importance of roof maintenance. A few minutes of your time will help protect your roof and save money in the long run. Looking for durable roofing in North Texas? Classic Superoof’s premium roofing systems offer optimum weather-proofing for your home. 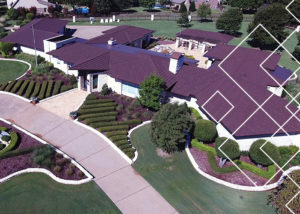 The systems have successfully passed the “Texas Weather-Tough Test.” Our products are more durable, more energy efficient, longer lasting and more beautiful than standard asphalt type roofs. Our staff of professionals assure quick, easy service. You can learn more about us by visiting us here. You can contact us here.